Experience - Seattle Professional art hanging, art moving and art consultant. Handled artwork in a wide range of media, including works by Bierstadt, Bougereau, Calder, Cassatt, Cunningham, Chihuly, Degas, Duchamp, Dali, Eakins, Goya, Haring, Hopper, Inness, Lichtenstein, Manet, Miro, Man Ray, Oldenburg, O’Keefe, Picasso, Pollock, Pissarro, Renoir, Rembrandt, Rauschenberg, Rosenquist, Whistler, and Warhol. 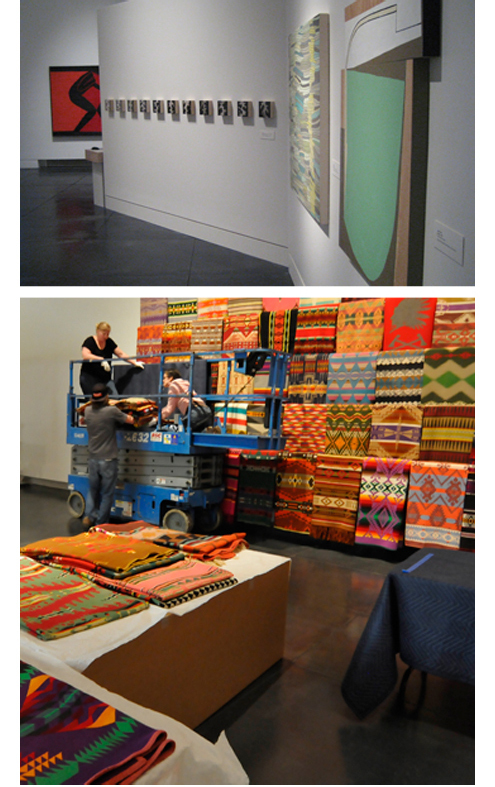 Installed inaugural exhibitions for six different museums in preparation for their Grand Openings, and provided consultation and instruction in museum quality standards of exhibition design, installation and art handling. Unpacked and repacked traveling exhibitions of various media and prepared crates and art for overseas transport. Carefully examined incoming and outgoing artworks to create condition reports. Loaded and drove a large truck with crates and/or soft packed art (including extremely fragile glass sculpture) for local art transportation at least once a quarter for five years. Designed a new storage system and managed a crew of art handlers in transporting and safely storing over 1,000 pieces of the Bank of America Corporate Art Collection in a new storage location in 1998 and again in 2004. Implemented regular collection maintenance for Bank of America and SAFECO Insurance which included arranging for rotation, conservation, shipping, framing, storage and photography. Organized and updated inventory records and created a system for maintaining accurate movement logs. Responsible for the annual rotation of the Verizon Wireless Corporate Collection, which incorporated moving over 200 artworks among 6 buildings in 2 days, with a crew of 5 art handlers. Trained and managed a crew of art handlers in packing a collection of over one hundred thousand artifacts for the Museum of History and Industry in preparation for their move to a new location.